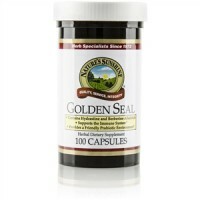 Goldenseal contains hydrastine and berberine, two major alkaloids. Parthenium contains sesquiterpine esters. The herbs' beneficial nutritional elements are concentrated and rapidly absorbed by the body. 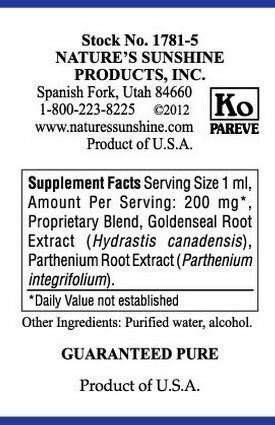 Goldenseal root extract, parthenium root extract, water and alcohol. Adults: Use 20-25 drops two times daily. Children: Use 10-15 drops in water twice daily. 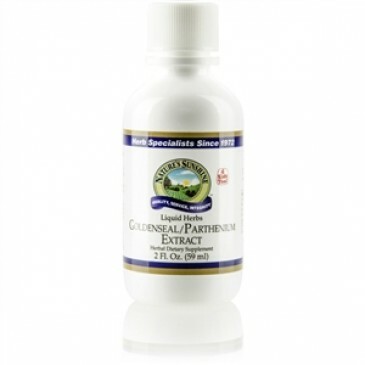 One ml is equal to 1 capsule of Golden Seal and 1 capsule of Parthenium.